I know my American history fairly well, but I must admit that I knew nothing of the 1755 ethnic cleansing, which is not surprising as that is not the kind of thing they used to include in school history books. What a fascinating history of your lineage. I envy you your trip to Nova Scotia, the three generations. I have just finished tracing my lineage from my paternal grandmother.. eva labine. It has also led me to Claude Guildry …how fascinating! I am also going to be planning a trip to Nova Scotia. Guess we have many many “cousins” out there! Melanie Paquette in canada. Greetings cousin! Thanks for reading and for your comment. It turns out that we didn’t make the trip in 2011, due to Hurrican Irene coming to New York. But we finally got to NS this year, for a week at the beginning of July. It was a tremendous trip – my father, my son (who is now 11), and myself. The sight of our family names – Guidry dit LaVerdure, dit Labrador, dit Labine, dit Grivois – on the screen after the movie about the expulsion in Gran Pré brought tears to our eyes. Very moving. And then when we got to Lunenburg, which was the site of Mirligueche where the Claude Guedry lived, we discovered the historcial plaques all over town telling Claude’s story. His children lived all over NS, but Mirligueche was Claude’s area and he lived there with his sons Jean Baptiste and Paul, where they had a farm – “Old Labrador’s farm.” Paul was called “Old Labrador” by the British, an anglicization of LaVerdure we think. Claude and family were well-known boat pilots and had a reputation for piracy as well. Claude’s son Jean-Baptiste, his son, and 3 of their Mikmaw associates were all hung in Boston in 1726 on charges of piracy for taking a Yankee boat. Paul is my direct anscestor among Claude’s sons. Pierre was the son who took the name Labine, and according to Mark Labine, who wrote a book called LaVerdure of Mirligueche, all the Labines come down from Pierre. The Guidrys in NS these days mostly use the spelling Jeddry or Geddry, or some version of that. In Louisiana, Guidry is very common, with pages and pages of us in the phone books. We also found out that the World Acadian Congress is going to be held in August 2014 in towns around the spot where New Brunswick, Quebec and Maine meet. There is a scheduled Guidry-Labine-Petipas reunion. Check out this website (scroll down a long time) http://www.acadian.org/congres5.html. This guy is the contact: GUEDRY/LABINE/PETITPAS, Location: Van Buren, Maine; Contact: R. Martin Guidry 225-755-1915. That is a Baton Rouge phone number. So far I am planning to go with my son. Thanks for reading. I will post on our NS trip very soon, probably next month, with photos and all, so check back and you’ll see that. Uncle Howard here. Somehow or another while googling the internet came upon this site. Your father and I met over here about two weeks ago. He gave me some flyers but much more in verbal conversation. Would love to know all about ‘Old Labrador’. Please let me know when you release further info and pictures and or mail me copies or e-mail me . Take care and hope to here from you soon. Uncle Howard.. I ran across your website after researching a few of my ancestors and after reading through your wonderful article, I was very pleased to see that we are related through my Grandpa Stafford’s side of the family. All the way down to Ron Guidry! I never knew that until this evening, and to be quite honest with you, it makes sense with all of the sports fanatics we have in our family! Unfortunately, I just read this article and the dates on the reunion have passed. We would have loved to attended that! Just like Claude Guidry’s twin grand-daughters Helene and Marie-Josephe Guidry, we also have another set of twins! My sister and I are the oldest living twins (identical) in our family and we are fascinated with our family history. With the LaRose side and the Stafford side of the family. We would love the opportunity to get in contact with our family and learn more. Hi Alison. Thank you for writing. I haven’t been keep up the blog lately so I apologize for not replying sooner. I will tell you that our trip in 2011 didn’t happen until 2013. But then it was incredible in Lunenberg. YOu have to see the plaques in the downtown commemorating Claude and Paul Guidry there. Really great–eerie to see this stuff we’ve been reading about for long become real in another way. Then in 2014, we went to northern Maine for the World Acadian Congress, which I think I’ll start to go to regular – every 5 years it happens. In Maine, we learned that the “Grivois” branch of the family settled there after the expulsion from Nova Scotia. One of Claude’s sons took his Grivois nickname as family and moved up to northern Maine, which never really become part of the US until the 1840s. It was very cool to see. My middle name is Jon after my grandfather Jon Guidry. I also traced my roots to Claude Guidry. 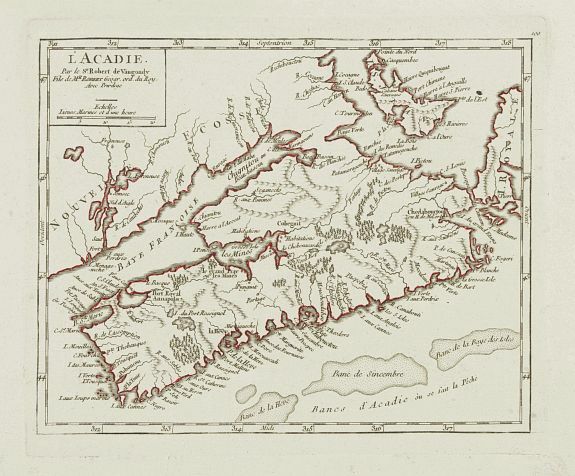 I have been reading a lot about Acadia. I grew up in La. so I always heard, but I never really understood what it all meant until now. I am Cajun on both sides Beudrot or Boudreaux on my father’s side. Guidry was my mother’s maiden name. They were from Montegut, La. I just happened up this site and I find this all very interesting. Hi Julie. Thanks for writing. We’ve had a couple of great vacations to Acadien sites over the last two years. First we went to Nova Scotia and visited all the sites in the family history. You should go to Lunenberg and you can see a plaque down town at the harbor about Claude and Paul. 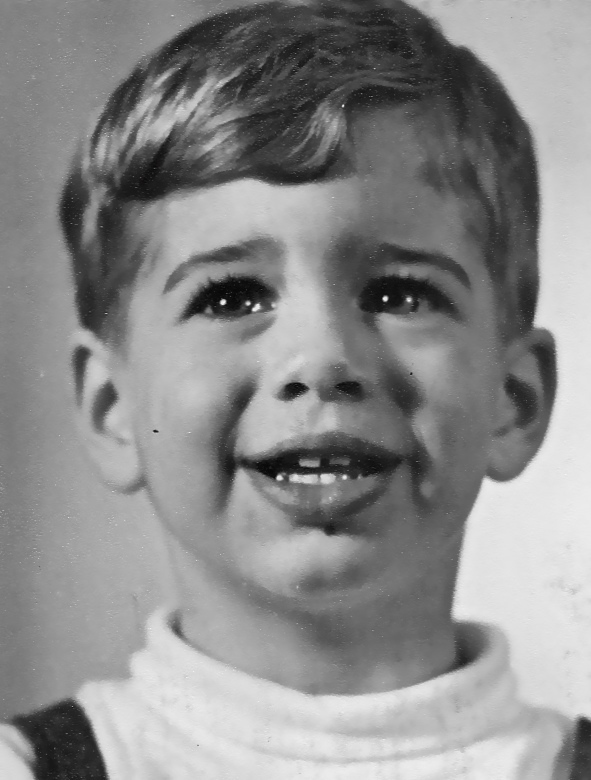 Paul was one of Claude’s last children and he is my direct forebear. Paul was just about the last Acadien in Lunenberg (which was Mirligueche then). I went with me and father and my son, like I talked about in the post. That was in 2013. In 2014, we went to the Acadian World Congress, which was held in Van Buren Maine and also across the border in New Brunswick. It was great, and there was a Guidry-Petipas family reunion. I had a great time. I should write a piece about those trips, but I got swamped with work… however perhaps soon. Thank you for your thoughtful words and stories. I appreciate it and indeed share the magical feeling, even in a little email like this. After the trip to Nova Scotia in 2013, we wound up going the next year, in 2014, to the Acadien National Congress, which was held on the Maine/NB border at the northernmost edge of Maine. The Congress was a really wonderful experience. My son loved it and has chosen to study French in high school because of the family connection. Maybe we’ll send him to Quebec for junior year. I find the Muis side interesting. They lived on section of NS away from the farming colony, as did the side of our family headed by Paul Guidry with his dad, Claude. Most of Claude’s children were in the farming side, but Paul was with Claude on the more wild or lawless side of NS. Paul’s wife was a Muis and she was half Micmac – and when one of Paul’s daughters married a French soldier in the 1700s, the French government annulled the marriage when they found out she was 1/4 Micmac, because mixed marriage was apparently against the law. Paul died in or around the expulsion — he was apparently well known to the English governor of Halifax. Paul’s children and grandchildren were sent back to France for 20 years until the Spanish King brought the Acadiens in France to Louisiana in 1785ish. Seven ships of Acadiens rescued from France, where they were living in rough conditions apparently. That’s how our folks ended up in Louisiana. Muis had a title, too — is that correct? Were they a “big” family there with some power? We’re going back for the 2019 Acadien Nacional Congress which will be in PEI (I think). If you wind up there it would be nice to meet and say hello! Thank you for answering – and so fast – regarding the ‘Muis’ the first to come to Acadie was Philippe Mius D’Entremont who was considered a Baron and was given the Baronie de Pobomcoup which is today’s Yarmouth Nova Scotia. Their story is very interesting especially the first 4 or 5 generations – if you are in the Pubnico area of Nova Scotia the Acadian museum has quite a library. As for the reunion in 2019 not sure yet but I’ll be living in Moncton not too far so it would be great but again we are a few off.